"Please do not turn off this copier" written on post-it note taped to front of object. 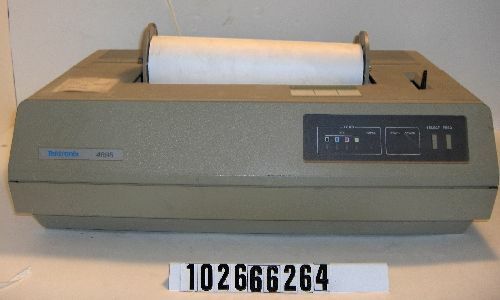 Object consists of printer and paper role. Object name comes from Operators Manual found inside object.